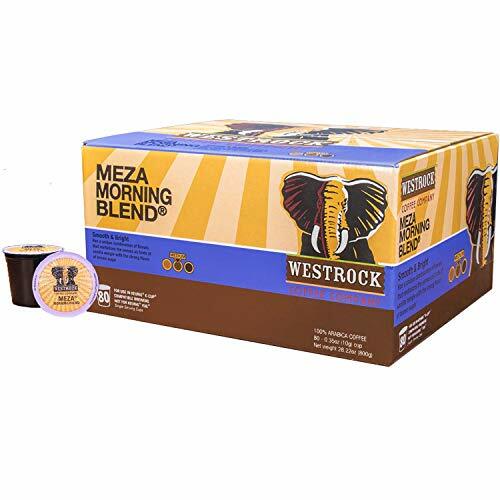 Meza Morning Blend A unique combination of flavors that revitalizes the senses. Once brewed, the initial subtle notes of fresh clove found in the dry fragrance slowly develop into a bold, nutty aroma. This exceptional mix of invigorating taste is captured as the hints of vanilla mingle with the strong flavor of brown sugar. We use direct trade to cultivate long-term relationships with the farmers who grow Westrock Coffee. Through our Agribusiness Training Program, we are able to teach farmers improved agricultural practices in an environmentally and socially sustainable way. These partnerships provide opportunities for farmers and their families to have their basic necessities like education, access to clean water and healthcare fulfilled. Our drive is to be a catalyst for real change in the lives of farmers and their families, through honest, direct trade with transparency at every stage in the supply chain, from crop to cup. The end result is strong, sustainable growth at origin and a quality product for our customers. We use wet milling which is the process of separating the cherry from the coffee bean and cleaning it. Proper wet-milling ensures that natural flavors are retained for true specialty grade coffee. We have a team of quality experts, quality graders and coffee cuppers who work with our roasters to create roast calculations that are unique to each varietal, work to develop unique blends and ensure consistency in every cup. We roast a lot of coffee. We focus on honing our skill in roasting every single day. Each minute matters too few or too many permanently alters the taste of the coffee. After the roasting, we sample the coffee again before packaging it for you. Medium roasted Arabica beans captures the strongest attributes of Meza coffee. Handpicked, then roasted to a medium state, to get a rich complex flavor creating the perfect roast. Our best-tasting coffee for your single-serve brewing systems (compatible with most single serve brewers). Westrock Coffee maximizes flavor and provides a richer and more full-bodied taste you will love to the last drop. Best value for 80 count cups, perfect for a family or office. Ethically and sustainably sourced means every cup you drink helps give back to the farmers that grow it.